Yellowstone National Park is seeking public input on a proposal to increase the park’s entrance fees for the first time since 2006, and institute a backcountry overnight permit fee. Under current legislation, 80 percent of the revenue from entrance fees is allowed to remain in the park and used on projects which benefit park visitors. In Yellowstone, revenue from entrance fees has allowed the park to spend approximately $4 million per year on a variety of projects including road repairs, campground upgrades, improving accessibility for people with disabilities, rehabilitation of park structures, and utility systems repairs. Yellowstone is proposing several changes to park entrance fees. Currently, visitors pay $25 for a 7-day pass for a single, non-commercial vehicle entry into both Yellowstone and Grand Teton National Parks, with the current cost of an annual two-park pass at $50. The park is proposing to offer a 3-day Yellowstone only pass for $30. A 7-day pass good for both Yellowstone and Grand Teton National Parks would be available for $50. An annual pass to Yellowstone only will be $60. Those entering the park by motorcycle or snowmobile are currently charged $20 for a 7-day pass honored at both parks. The proposal is to offer a 3-day Yellowstone only pass valid for $25 and a 7-day pass for $40 honored at both parks. Individuals who enter the park on foot, bicycle, skis, or as snowcoach passengers currently pay $12 for a 7-day pass. That would be increased to $15 for 1-3 days in Yellowstone, or $25 for 7 days at both parks. The Interagency Pass rates will remain the same: Annual ($80), Senior ($10), Access and Military ($0). These proposed changes would result in additional annual revenue of approximately $3 million dollars for Yellowstone National Park, which would be used to continue or enhance projects such as Yellowstone cutthroat trout restoration, maintenance for the park’s 7 campgrounds, preservation maintenance on park roads, improved restroom facilities, reconstruction and rehabilitation of trails including Tower Falls, and a new North Entrance Station facility. Additionally, the park is proposing to institute a fee for overnight backcountry permits to help recover costs associated with operating the park’s backcountry program. In the past, Yellowstone has not charged an overnight backcountry permit fee, but a reservation fee has been charged since 1996. 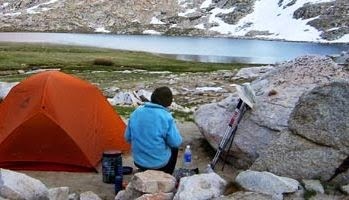 The proposed backcountry camping permit fee would be $3 per person (age 9 and older) per night with a maximum party limit of $15 per night for backpackers. Stock groups would be charged $5 per person per night with no maximum fee limit. The current $25 fee for trips reserved more than 48 hours in advance would remain the same. Users would be able to purchase an Annual Backcountry Pass for $25 which would exempt that individual from the per-person per-night fee. Additional revenue from overnight backcountry permit fees would be used to help to sustain the current level of service that visitors expect and ensure that Yellowstone can continue to provide service at multiple locations throughout the park. The current revenue stream from advance reservations covers 17% of the cost to operate all backcountry offices, while the proposed fee is expected to raise backcountry fee revenue to approximately 43% of the cost to operate backcountry offices. Comments may also be hand-delivered during normal business hours to the mailroom in the park’s Administration Building in Mammoth Hot Springs, Wyoming, at one of the public scoping meetings, or mailed to: Management Assistant Office, Attn: Entrance Fee Proposal, P.O. Box 168, Yellowstone National Park, WY, 82190. Comments will not be accepted by fax, e-mail, or in any other way than those specified above. All comments must be received by midnight MST on Friday, December 5th, 2014.